« Homepage / Persons / "Louis René Villermé"
His mother was a close relative of General Lecourbe; his father, René Jean Chrysostome Villermé, Attorney at the Grand Châtelet de Paris had give up to his Office and withdrew to Lardy (Essonne) where he was born. the young René was baptized at Paris in the Church of Saint-Séverin, to hide the fact that he was a child born out of wedlock; He spent all his childhood in Lardy where his parents were married in 1792. At the end of his studies at the village school, he decided to follow the course charted by his paternal grandfather who was a doctor and he managed to convince his father to send him to Paris. The national convention that removed the universities in September 1793, the establishment of medical schools was designed, not to advance the science, but to organize a complete teaching of the art of healing and training officers of the armed forces health and the departments of the Republic. After three years of work, René Villermé is sent, in 1804, with his comrades on the battlefield of the Empire with the rank of major sous-aide to the 75th infantry regiment, although it did not have the title of doctor of medicine, which was essential for the advancement, he was appointed surgeon major assistance in 1806. He participated in many battles in Poland and in Spain, where he stayed four years; in 1810, las to replace his Chief of service, it requests the protection of Percy but is only three years after, in 1814, he was promoted to the rank of surgeon-major; It is with this grade that he made the France campaign and was licensed in June 1814. Returned to civilian life, he prepares his thesis in two months and the supports on August 22, 1814 with a memorandum entitled “of false membranes”, dedicated to his father and Philippe Pinel. As soon as his graduation, Villermé begins to exercise; as early as February 1815, he published the medical society of Emulation of Paris a memoir on partial amputations of the forefoot, fruit of his experience in war surgery; the extent of his knowledge and the quality of its publications quickly point out, and it is accepted in many circles. In 1817, he married Miss Morel of Arleux, daughter of a curator of the national museums and shortly after, he abandoned the practice to devote himself to writing. In 1819, he became Secretary General of the Sté of Emulation as it is accepted in a large number of medical societies; He was elected member of the Academy of medicine in 1823 and the Academy of moral sciences and policies in 1832 and he will be the President in 1849. He partially resumed its clinical activities during the cholera epidemic which was almost 19 000 deaths in March 1832 in Paris. Now widowed in 1851, he lived with his daughter, Ms. de Freville and despite his declining health, he continued to follow, by far, debates to which age did more to take part. He died at his Paris home in rue Vieille-du-Temple 26, on November 16, 1863. A street in Paris, in the 11th district bears his name. It is, in 1829, one of the founders of the “Annals of health public” and participates in the drafting of numerous journals from an article on the “health of the reapers” in “statistical research on the city of Paris. 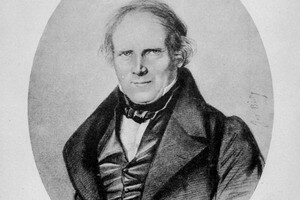 After the cholera epidemic of 1832, he published a study entitled “cholera in homes with Paris”. This is the statistics the most detailed that was drawn up on the harm caused by the lack of hygiene. The economic crisis, which was to grow since 1827, arrived at its height after the revolution of July: in 1831, in the Aisne, unemployed threatening looting in calling for relief, in Lille, there were twenty five per cent of poor; in northern regions, poverty was appalling and life expectancy had declined among the weavers and the workers of manufactures of wool and cotton, where infant mortality had increased; the situation of the Alsace cotton mills was not more enviable despite improvements made by some bosses in Mulhouse or Guebwiller. the law on the work of children in factories, in 1841 limited age for admission in business for 8 years, but only in undertakings with more than 20 employees; It will be amended in 1851 and in 1874 the Act on labour of children and minor girls in the industry, limiting employment before the age of 12. After the publication of his great work, he published, in 1843, a memorandum on “The work and conditions of children in the mines of Great Britain” and then a large number of reports on accidents of work “Accidents in the industrial workshops by mechanical devices,” in true proponent of laws on labour medicine. Mortality in the various areas of the city of Paris (1830) online text, published in 2008 in the factory, Paris.